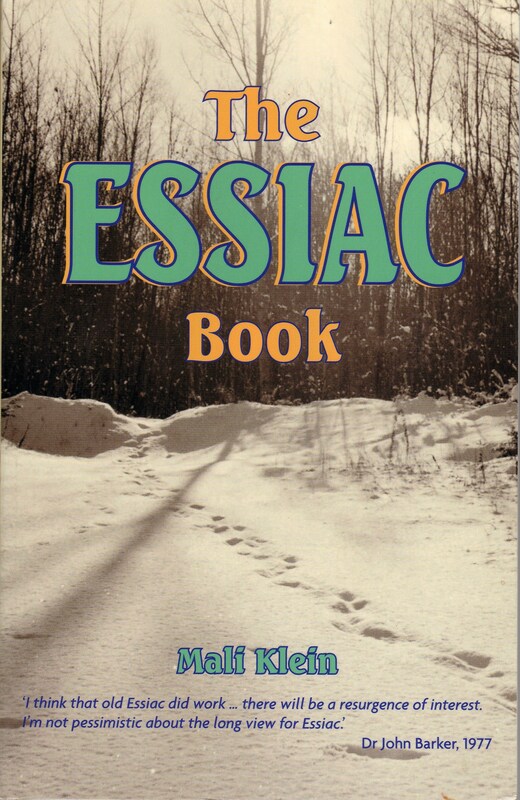 "THE ESSIAC BOOK is the ultimate handbook in the Sheila Snow & Mali Klein 'Essiac' series. Including more information about the original Native American eight-herb formula, easy to do, step-by-step instructions for making all five Essiac formulae, more archive data, more Bracebridge Clinic case histories, updated notes on growing your own herbs and the 'little bit of history that has never been properly told and needs telling' chapter releasing previously unrevealed information from cassette tapes recorded by Sheila Snow in 1977 for everyone who is interested in putting more of the vital missing pieces of the Essiac puzzle into place. "Did Rene Caisse give the Resperin Corporation the complete Essiac formula in 1977? The evidence suggests that she did not." "Sheila knew and worked with Rene Caisse from 1974 to 1977 and spent twenty-seven years of her life assembling an impressive Essiac archive collection. Since Sheila's retirement Mali Klein has continued the archive research to produce the final book in the series. Mali Klein and Sheila Snow have been working together since 1996." Mali Klein is the only Essiac researcher in print who has had direct experience of the immediate effects of the Sheep sorrel injection. She suggests alternative and less traumatic ways of administering the Sheep sorrel decoction that have been demonstrated as being effective. Includes easy to do, step by step instructions for every stage of mixing and making up the classic four-herb decoction, the Sheep sorrel decoction, the three-herb decoction and two extra formulae based information from the archive collection to extend the range of treatment options and dosage variations in keeping with Rene Caisse’s original work. Updates previous notes on growing, harvesting and processing the herbs for anyone who wants to be self-supplying. Names the Englishwoman for whom the eight-herb formula was originally developed. Gives a full account of Sheila Snow Fraser’s work with Rene Caisse. It is not generally known that without Sheila Snow, Rene Caisse may have died unknown, the secret of her cancer treatment may now be forgotten and Mary McPherson would never have found herself having to carry on Rene’s work after her death. Devotes a complete chapter to the Bracebridge Cancer Clinic and reveals more case histories from that period. Includes previously unreleased documents and photographs. Discloses for the first time information from cassette tapes recorded by Sheila Snow Fraser in 1977 revealing the true circumstances surrounding the controversial Walde/Barker Essiac trials of that same year. Includes a handy checklist for the cancer patients who want to take charge of their treatment programme and ‘do cancer well’, including notes on diet and vitamin and mineral supplements compatible with the Rene Caisse Essiac formulae. THE ESSIAC BOOK is out of print and may be available through https://www.essiacnorthwest.com. "No one can stop anyone from picking a weed and turning it into a tea." "We all have the right to benefit from Essiac because no one can stop us making it, no one can stop us taking it and no one can stop us deciding how and when we're going to do it."